Whether you require bathroom accommodations due to a longstanding or recent disability, the bathroom safety experts at Independent Home Products, LLC can help every step of the way during the process of choosing a walk in tub or walk in shower. Our mission is to help to improve safety, independence and quality of life for people by making their bathrooms more accessible. One of the most serious safety risks for folks with decreased mobility is during bathroom self care tasks. Independent Home Products, LLC strives to make the process simpler. Independent Home Products, LLC's bathroom safety experts understand how to design walk in tubs and showers that will make the bathing process as safe as possible. Special consideration goes into placement of grab bars, seating and moldings for keeping accessories within reach. Independent Home Products, LLC's walk in showers and bathtubs include sturdy molded seats that provide for safe and easy transfers as well as slip-resistant flooring. Customers in wheelchairs love the easy access offered by our walk in tubs and showers. Affordability– Walk in tubs and showers installed by Independent Home Products, LLC are manufactured right here in the US, in our Long Island, New York facility. This allows us to offer lower prices to our customers, higher quality products and speedy installations. Independent Home Products, LLC strives to provide walk in showers and tubs that increase home bathroom accessibility at competitive prices. Satisfaction Guaranteed – All of our walk in showers and walk in tubs come with a lifetime parts and labor warranty. 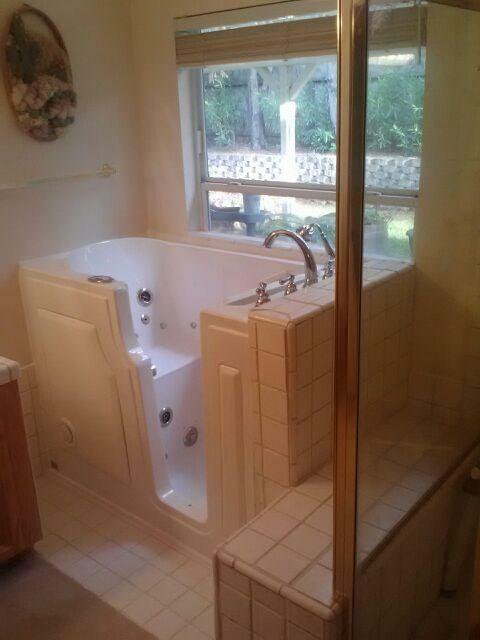 Call Independent Home Products, LLC for a free bathroom accessibility quote today!